If you partied at all in the 80s, chances are your soundtrack included Loverboy. The band captivated legions of loyal fans and helped define the original party rock era of the 1980s. They have sold more than 20 million records worldwide and touched generations of music fans. 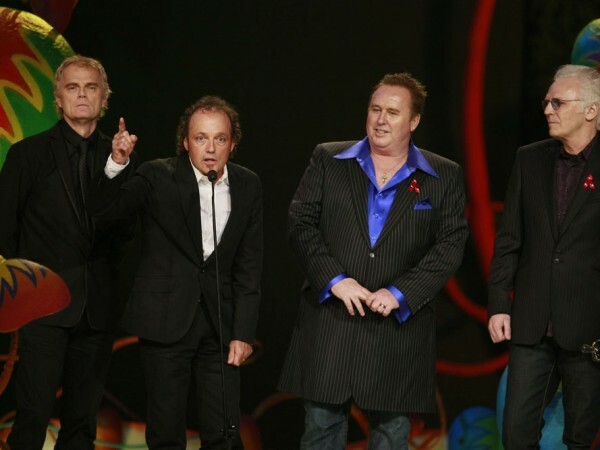 Formed in 1979 in Calgary, Alberta, Loverboy signed their first deal with Columbia Records Canada in 1980 and immediately went into the studio with producer Bruce Fairbairn and Canadian Music Hall of Fame member Bob Rock to record their self-titled debut album. The band’s music was driven by the powerful vocals of Mike Reno, the relentless rock groove of lead guitarist Paul Dean, the bass stylings of Scott Smith, the melodies of keyboardist Doug Johnson and the heavy rhythms of drummer Matt Frenette. 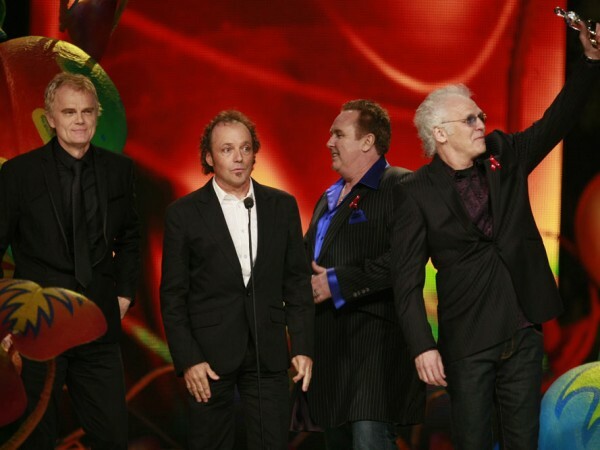 They turned their collective talent into hits such as “Turn Me Loose” and “The Kid Is Hot Tonite.” Loverboy flew off the shelves, setting record sales for a debut album at the time with over 700,000 albums sold in Canada. Soon after its U.S. release, the album surpassed two million copies sold in North America and four million worldwide. 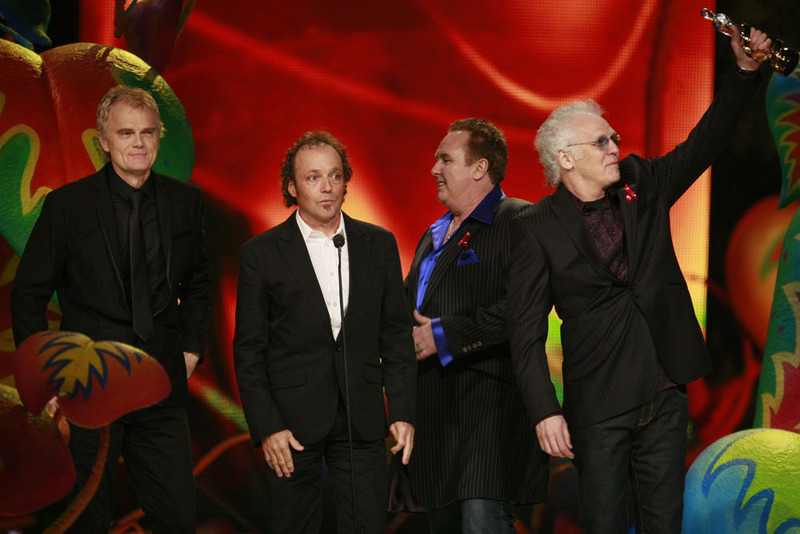 At the 1982 JUNO Awards, Loverboy’s debut garnered an unprecedented six wins in one night. The band struck platinum yet again with their sophomore release, Get Lucky (1981). It featured the mega-party anthem, “Everybody’s Working For The Weekend,” a song entrenched in popular culture and a mantra for the working masses. 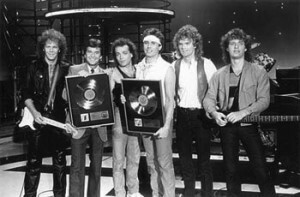 The band subsequently garnered two more consecutive wins for Group of the Year (1983, 1984) and another JUNO Award for Album of the Year in 1983. From 1980 through 1987, the band released four multi-platinum bestsellers featuring such classics as “Hot Girls in Love,” “When It’s Over,” and “This Could Be The Night,” as well as the smash hit “Heaven In Your Eyes,” recorded for the movie Top Gun. On stage, Loverboy delivered energy, skill, style and showmanship, establishing themselves as a major live act and building a reputation as one of the hardest working bands in rock. They played more than 200 shows in 1980, embarked on an eight-month world tour in 1983 to promote their third album Keep it Up, and hit 100 cities across North America with the release of their fourth album, Lovin’ Every Minute of It (1985). The band filled arena after arena, becoming one of the top five grossing touring acts and the first Canadian group to be awarded Columbia Records’ Crystal Globe Award for selling over five million records outside their native country. After a decade of success, the band took a short break, returning to the stage for a benefit concert in 1992 for friend and fellow recording artist Brian “Too Loud” MacLeod. The reception to their performance from music fans and industry professionals prompted the band to go back on tour. In November 2000, the band suffered a tragic loss when founding bassist Scott Smith lost his life in a boating accident. The surviving members came together and, with the introduction of new bassist Ken “Spider” Sinnaeve, dedicated their next album, a live greatest hits collection called Live, Loud & Loose, to Smith’s memory. 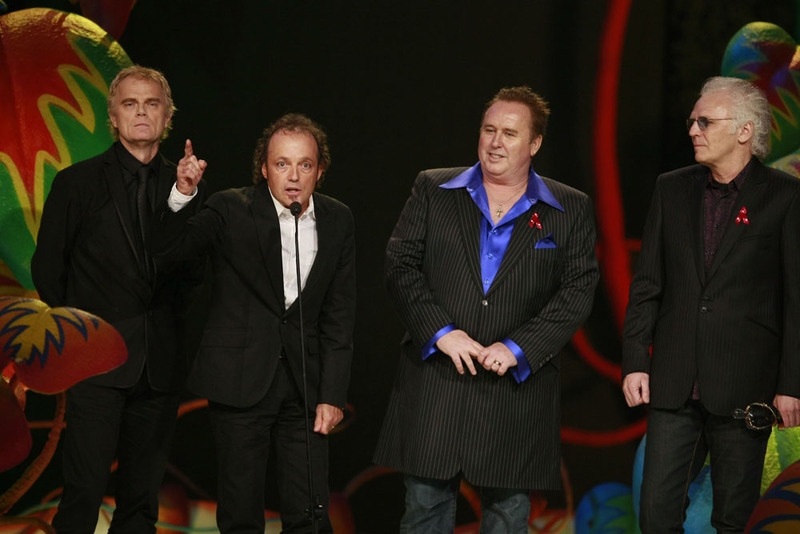 In 2005, Loverboy marked their silver anniversary by embarking on a North American summer tour to perform their greatest hits over the previous 25 years, along with some new songs. After a decade away from the studio, the band next recorded the tough-rocking 2007 release, Just Getting Started, starting a creative new chapter in the long history of Loverboy. The band continues to tour with an average of 60 to 80 shows a year across North America – a testament to their lasting popularity and impressive longevity in the music business. That’s right: they’re still working for your weekend. Sign to Columbia Records and release debut album. Tour with Journey and release Get Lucky. Win a record-setting six trophies at The 1982 JUNO Awards. Disband in 1988, releasing first greatest-hits compilation Big Ones the following year. Perform benefit for Brian MacLeod and officially reunite. “Working for the Weekend” is a pop-culture staple that’s been featured in countless films, TV shows, videogames and commercials. The band co-wrote a song with members of Bon Jovi for their 1987 LP Wildside. Loverboy recorded Team USA’s theme song, “Nothing’s Gonna Stop You Now,” for the 1984 Summer Olympics. The band performed at the 2010 Winter Olympic Games Victory Ceremonies in Vancouver.